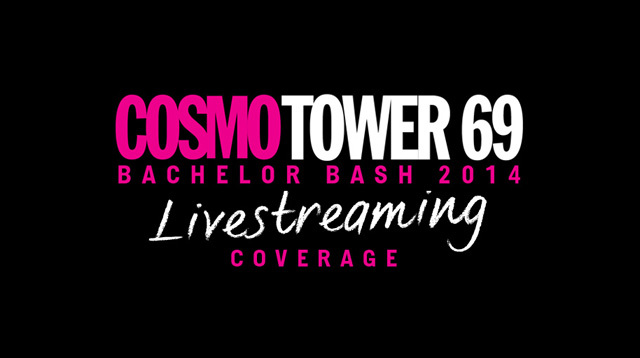 #COSMO69: Watch The 2014 Cosmo Bachelor Bash Livestream! Watch The 2014 Cosmo Bachelor Bash Livestream! Cosmo Bash Livestream starts at 8p.m. on September 24, 2014! One way or another, you'll get to see Cosmo Tower 69 when it opens on September 24, 2014! You wouldn't wanna miss out on the action, so you better bookmark our livestreaming page HERE. 1. You'll get EXCLUSIVE behind-the-scenes footage (Yes, including backstage action)! 2. Only livestream viewers will see on-the-spot interviews of the Cosmo Hunks during the Bash. 3. You'll get to watch all of that PLUS the actual show anywhere you are (You know, just in case you weren't able to get tickets). Just visit the livestream link at 8p.m. on Wednesday, September 24. 4. Finally, because Paulo Avelino.